Welcome to Barbecue Chefs! Food for all Occasions! At Barbecue Chefs, we have been in the catering business for many years and have gained a good reputation for delivering delicious, stylish and sustainable food to our wide array of clients. Our customised kitchens in Guildford are an amazing base for making scrumptious foods for all types of events. We have a range of finger-licking menus to cater to your every requirement and have managed to earn some enviable acclamations from our clients. Be it a birthday, corporate event or a wedding, we are here with our hog roast in Surrey, the right food for every occasion. Being a family-run business, we are immensely proud of our management team, which has a significant amount of experience in the industry. We firmly believe that creating the right menu is crucial and spend a lot of time discussing with our clients about their requirements and proffer our suggestions as and when needed. We have considerable expertise in the business; all our chefs have accumulated extreme proficiency at what they do and are adept in creating lip-smacking dishes for parties, weddings, and anniversaries, as well as for small-scale lunch or dinner parties. We are steadfastly committed to excellence and we are always prepared to go the extra distance to make sure that you are happy with our services. We use the finest locally sourced ingredients to deliver dishes that you would not be able to enough of. All of our services are extremely affordable; a fact that makes us quite unique in our industry. We are well-known for our desserts as well. From fresh strawberries and cream to lemon and raspberry brûlée, you can be sure of the fact that you won’t find better anywhere else in Surrey. If you would like to arrange a meeting to talk about your requirements, feel free to give us a call any time. We can also cater to any queries you may have over the phone. 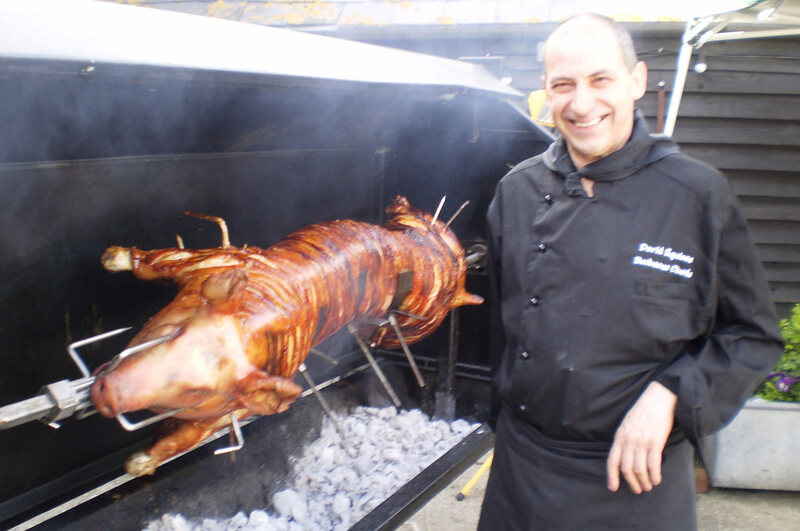 Barbecue chefs specialise in providing delicious spit roasts, be it a hog, lamb or venison. Barbecue chefs offer a fantastic charcoal grilled or gas barbecue for your event. 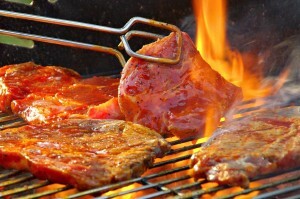 Barbecue chefs can provide any occasion and party theme menus for your evening. Venue for Hire including Weddings, Parties, Christenings, and Corporate Events.